Brunswick continues their successful TZone product line with classic bowling style shoes. The Brunswick TZone Unisex shoes boast to have superior slide out of the box. 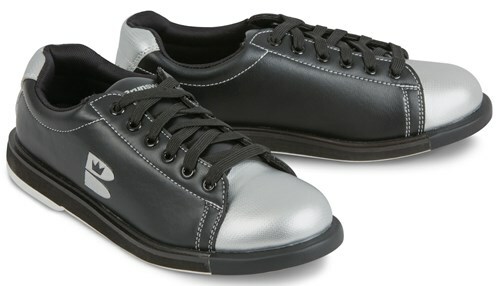 These shoes were designed to be lightweight, durable, and comfortable for any type of bowler. These shoes look even better in person. They look similar to Bill Murry's shoes in KIngpin. I'm still breaking them in.Though the padding around the rim of the shoe is hard making it very uncomfortable and made the back of my heel hurt. Being a Brunswick shoe makes this a big disappointment. After removing the padding by cutting three holes, they seem to be doing fine now. Hello. The only shoes that we carry that have a EEE width will be our Linds brand. I am concerned about unisex sizing. I am a man and have a fairly wide foot, will these work? I would think if they also work for women the would tend to be a bit narrower? Unisex shoes are sized with a typical Men's D width. Is this for left handed ? Can bowling shoes be made in size 18? The largest size that we carry is a size 17. We apologize for the inconvenience. This shoe is universal and has slide soles on both shoes. It can be used by right or left handed bowlers. Due to the time it takes to produce the Brunswick TZone Unisex Black/Silver ball it will ship in immediately. We cannot ship this ball outside the United States.